v. : ; 28-29 cm. Also distributed to depository libraries in microfiche. Some monthly issues also available via Internet from the Census Bureau website as: Highlights from the preliminary report on manufacturers' shipments, inventories, and orders. Address as of 12/17/03: http://www.census.gov/indicator/www/m3/prel/priorrel.htm; current access available via PURL. Some annual summaries also available via Internet from the Census Bureau website. Address as of 12/8/2005: http://www.census.gov/prod/www/abs/m3-1.html; current access available via PURL. Some annual summaries issued in revised editions. Each annual summary cumulates previous issues for a period of prior years, i.e., annual summaries for <1976>-197 cumulate from 1958. Some issues not distributed to depository libraries in a tangible format. Paper copy no longer sold by Supt. of Docs., U.S.G.P.O. Latest issue consulted: July 2002.
goods, manufacturers' new orders increased 0.3 percent. percent and nondurables 0.5 percent. 1.46 up from 1.45 in August. thirds of the decline was in the steel industry. to $17.2 billion, with most of the categories decreasing. shipments reflected declines in nearly every category. in printing and publishing, foods, and textiles. transportation equipment and electrical machinery. in nonelectrical machinery and primary metals. or call Ruth Runyan or Kathleen Month, (301) 763-2502.
provide content information and general guidance, or write for a brochure to CENDATA, DUSD, Bureau of the Census, Washington, DC 20233. See footnotes at end of table 2.
areas of the end of the period and are not adjusted for trading-day or calendar-month variations. craft and aircraft parts; and shipbuilding, converting and repairing. data are comparable to those published annually in the MA-175, Shipments to Federal Government Agencies. SIC Sept. Aug. July June Aug.- July- June- Sept. Aug. July June Sept.
SIC Sept. Aug. July June Aug.- July June- Sept Aug. July June Sept.
See footnotee at end of table 2. SIC Sept. Aug. July June Aug.- y- June- Sept. Aug July June Sept.
PPreliminary. rRevised. (X) Not applicable. (NA) Not available. 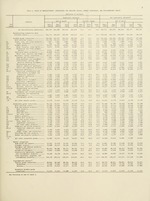 building paper; die-cut paper and board; chemicals; petroleum and coal products; and rubber and plastics products, n.e.c. Industry Year All Sept. Year All Sept. Year All Sept. Year All Sept.
SIC Sept. 1980- Aug. Sept. 1980- Aug. Sept. 1980- Aug. Sept. 1980- Aug.
(X) Not Applicable (NA) Not available. durable goods industries are shown in the advance report for the month.